This past weekend was one of some ups and downs but the true meaning of Christmas shined right through it all. The light of Christmas shined right through a crack. 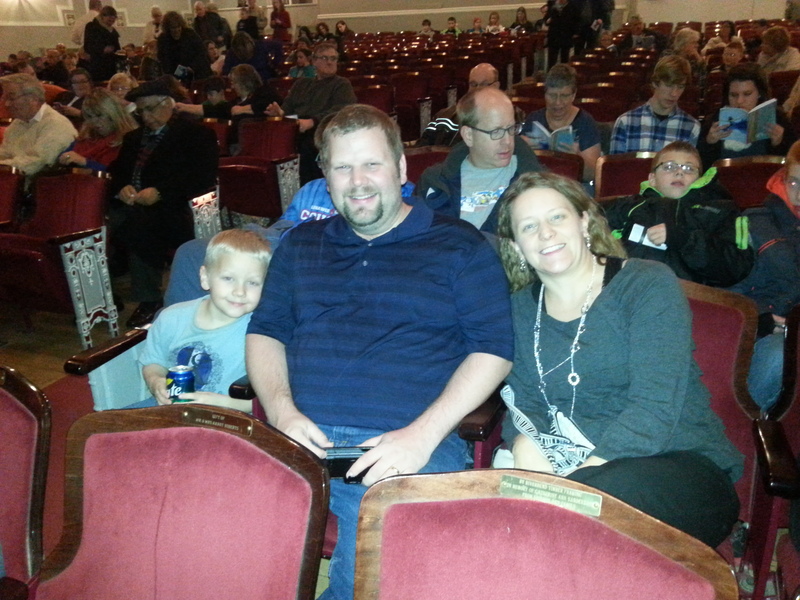 Let’s begin Friday night…We were very excited to see “A Charlie Brown Christmas” at the Croswell Opera House in Adrian. We lined up someone to watch our two foster kids for the evening so that Denise and I could have a night out with just Brandon. 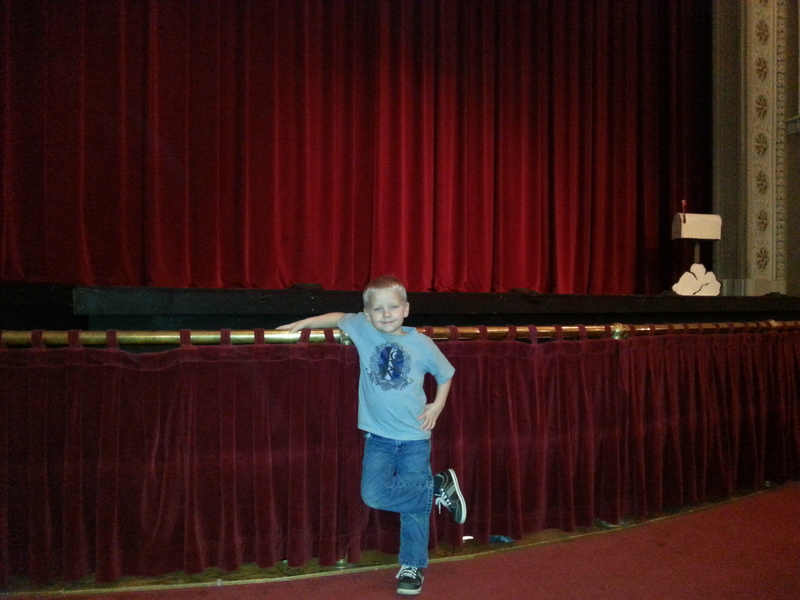 Brandon was eagerly anticipating the show. Brandon loved it! He giggled his way through the show and enjoyed his $2 Spite and $2 Skittles without spilling I might add…Yes he is just a little spoiled 😉 Afterward we walked downtown for a bit walking hand in hand all three of us. It was a great night out indeed! Brandon has been such a good big brother and having a great attitude about sharing us with his foster siblings. This night we wanted Brandon to feel special. We made it back home and all went to bed. Little did we know what was about to happen. After a few hours of being asleep, Chloe woke up crying and only a bottle would calm her down. She went back asleep and continued to sleep the rest of the night. Blake on the other hand proceeded to wake up shortly after and would not go back to sleep for anything! He screamed as you held him, screamed giving him something to drink, screaming no matter what…He was too tired I guess. He screamed for almost 2 1/2 hours. Then in his ‘too tired to sleep state’, gave up and finally fell back asleep. Needless to say it was a long night for both Denise and I! Sunday we went to church. Celebrated the second Sunday of Advent with our church family. I love seeing the Christmas decorations all around and especially the nativity. This is why we celebrate Christmas right? In the evening we had our annual Christmas open house with many delicious goodies for all to enjoy. Lots of families showed up and it was a great evening when, it happened. But before we get to that, let me first back up…earlier in the day, my euphoria of Advent stopped and life hit me with a ton of bricks. I had conversations with two different people who were struggling in some aspect of their lives. They needed help. They needed this Jesus we were celebrating coming to us to come and to be real in their lives right now. We talked and prayed through some issues but as I was in the midst of talking to one of them, “the crack” happened. And he is right! This Jesus that we are celebrating coming to us this Christmas wants to come and be not just part of our lives but have our whole life each and every day. He is much more important than anything. That crack through Brandon reminded me of this. That crack shined the light of Jesus in my life. This is the crack that saved Christmas. It will forever remind me of what truly is important in this life, Jesus above all else. Stuff can be nice but it is just stuff. Celebrate being a family, celebrate Jesus, celebrate His love and always remember the cracks in our lives that remind us that we are broken and in need of this Jesus that came freely as a baby to come, love, serve and die so that we might have life. This is what Christmas is really all about!